The current Chair Person of SOMA Housing Co-Operative Ltd is Afzal Khan. If you wish to direct your enquiry to the chair person at SOMA, please use this link Chair Person at SOMA Housing Co-Op. 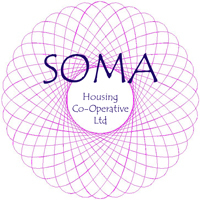 The current Treasurer of SOMA Housing Co-Operative Ltd is Mark Jackson. If your enquiry is a financial one, please contact the Treasurer. The current Secretary of SOMA Housing Co-Operative Ltd is Alison Palmer-Smith. The Secretary handles general enquiries for SOMA.